Teaching our little learners about gingerbread is such a fun unit to get to explore this time of year! 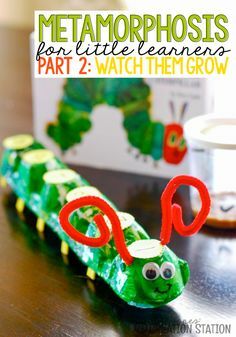 They’ll love learning about gingerbread men, gingerbread houses, and more! 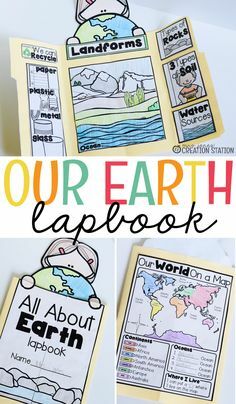 There are so many fun ways to go through this unit and watch them learn. 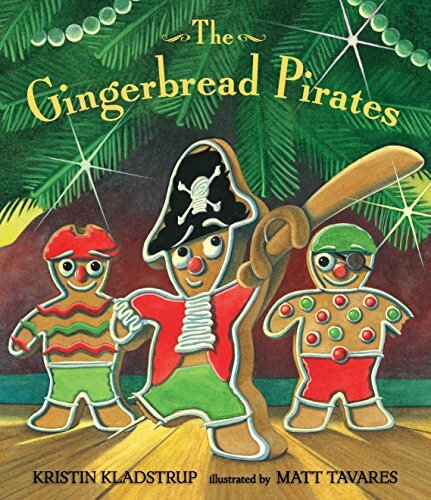 It’s even more fun as you read through gingerbread books related to this gingerbread unit. 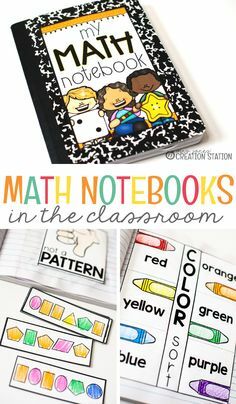 Finding gingerbread books to read with them is such a fun addition to this gingerbread unit. They get to explore all the forms of gingerbread! 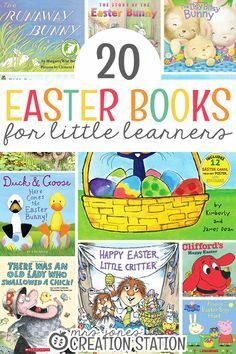 Sitting down to read gingerbread books is so fun for little learners as they go through this gingerbread unit this special time of year! They’ll discover all kinds of things about making gingerbread men and houses. Some things they might recognize, others may be totally new to them! 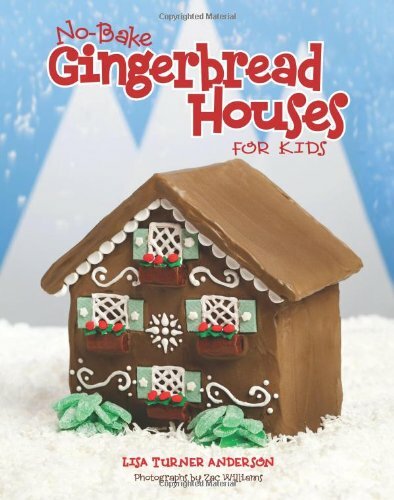 I’ve come across some really fun gingerbread books for you to use with this gingerbread unit that can be easily purchased on Amazon. 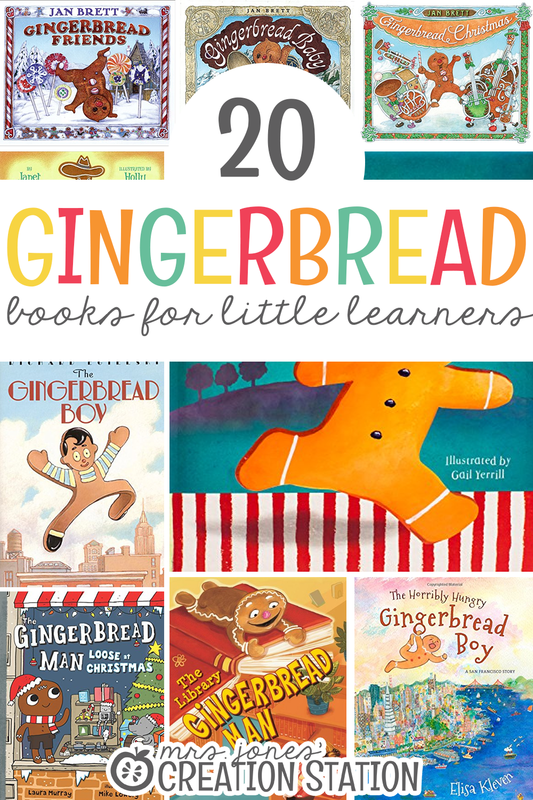 If you click the links below, you can stock up on some super fun gingerbread books! I love using my prime membership since I can get books quickly with FREE 2-day shipping. 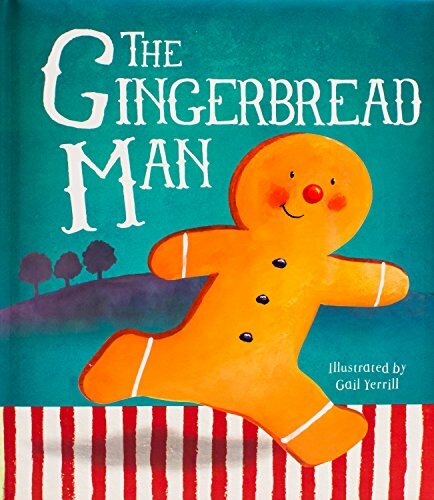 The classic tale of The Gingerbread Man comes to life in vibrant retelling perfect for beginning readers. 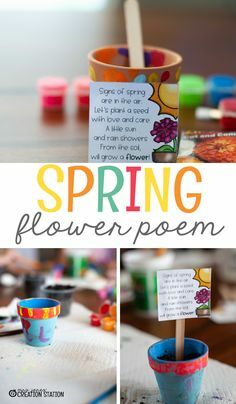 Designed to encourage vocabulary development and help children read aloud, this story uses large font types and vibrant, contemporary illustrations to help early learning skills. 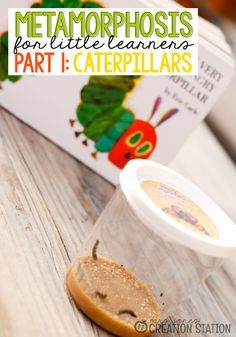 It’s a perfect addition to any children’s library. 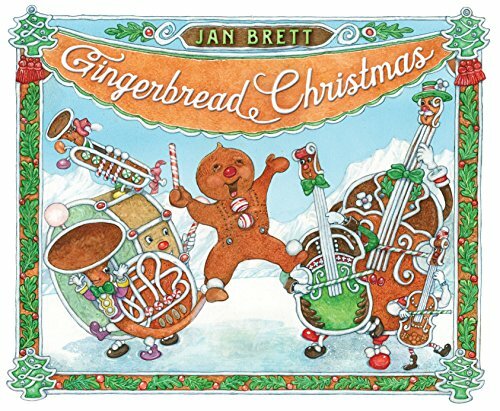 Jan Brett’s highly original version of the Gingerbread Boy story has quickly become a family classic. 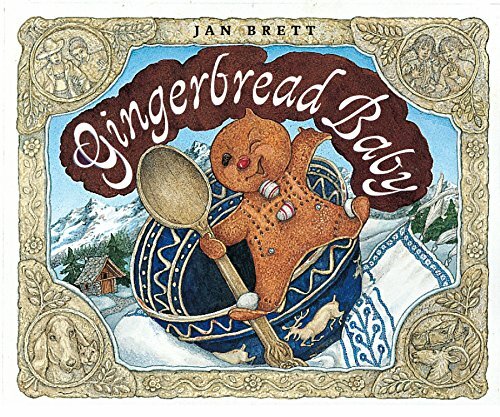 Now, the charming tale of Matti’s clever trap for the runaway Gingerbread Baby is available as a beautiful board book for younger readers. And it still features a surprise lift-the-flap gingerbread house at the end! No more complex store-bought kits and no more lopsided barn that was supposed to be Prince Charming’s castle. Just fun with the family while constructing fanciful gingerbread houses with graham crackers, frosting, cookies, and candies of all varieties. With No-Bake Gingerbread Houses for Kids, everyone from budding gingerbread architects to accomplished food designers can have fun with this new take on an old-favorite. Every holiday and even ordinary days can be spiced up with the graham cracker building blocks. 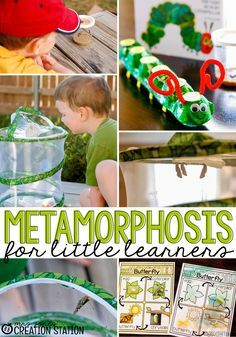 The straightforward instructions make these creations easy and enjoyable for the whole family! The lonely old woman and the lonely old man decide to bake a girl this time, but when they open the oven, she runs off like her brother did. Never fear, this smart cookie has a plan to outfox the fox. Will it work? Let’s just say that the ending is sweet for everyone. On a snowy winter’s night, Mouse is snug in her bed . . . Then—crack!—a tree branch falls and destroys her house. Now Mouse must find a new place to live. 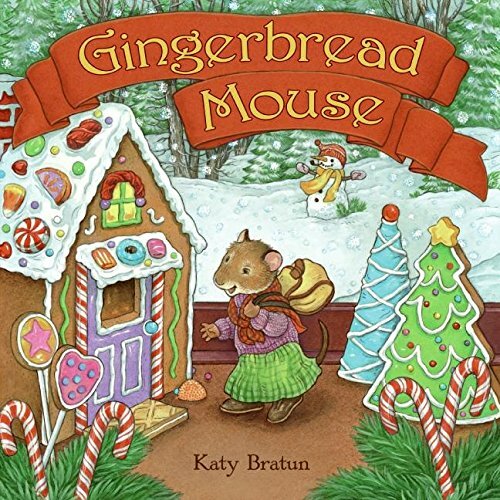 With determination, resourcefulness, and some Christmas good fortune, Mouse finds not only another house but also a place she can truly call home. “Giddyup, giddyup as fast as you can. You can’t catch me, I’m the Gingerbread Man!” The Gingerbread Cowboy can run from the rancher. He can dash past the javelinas. Then, he can giddyup right by the cattle grazing on the mesa. But what happens when he meets a coyote sleeping in the sun? 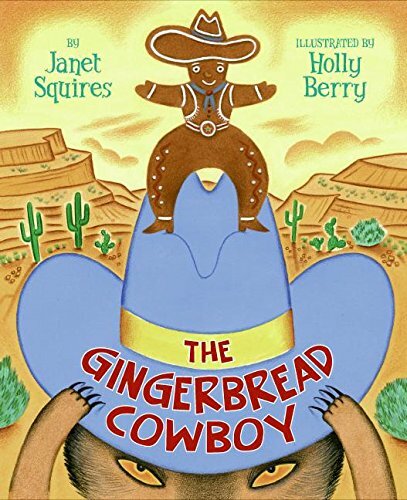 Janet Squires and Holly Berry retell this classic tale with a Wild Western flair, filled with rodeo-romping fun. 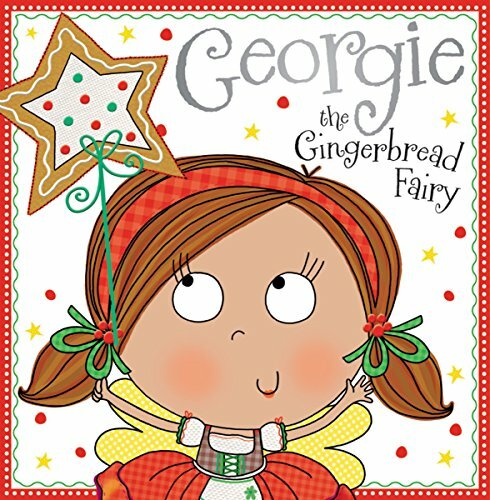 When an exciting new store comes to town, Georgie the gingerbread fairy closes her shop out of fear no one will buy her gingerbread, until an unexpected problem from the new store convinces her to try again. Gingerbread cookies can’t come to life … can they? 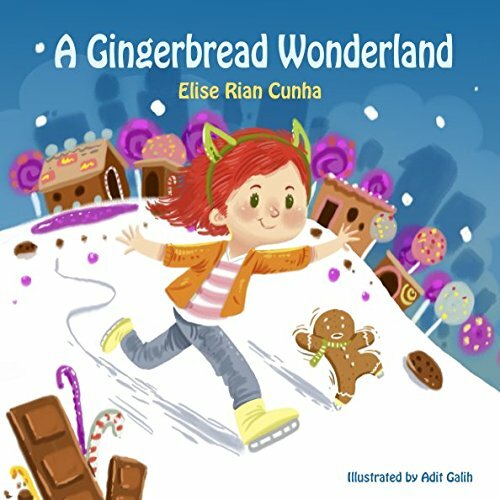 In her second book, this 10-year-old author introduces us to Lila and her gingerbread friends as they travel through a magical portal to a gingerbread wonderland. Ten gingerbread men love bouncing everywhere. 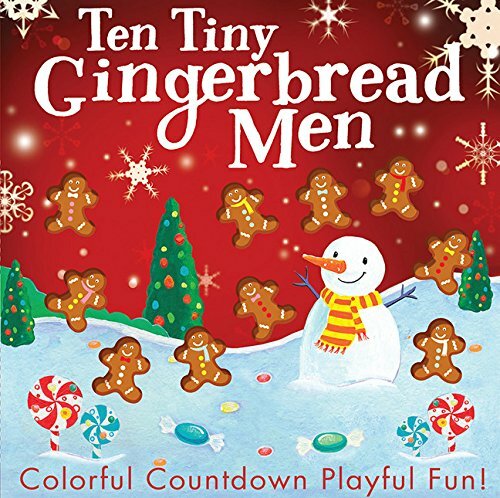 Follow the adventures of these adorable gingerbread men as they count down from 10 to 1 in this peek-through counting book with glitter accents! That popular little character is back looking for friends, in an adventure he’ll never forget. 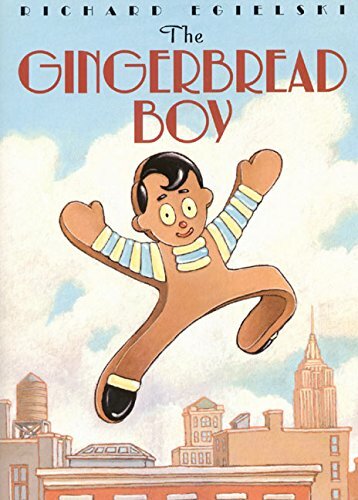 Confident and cocky, the Gingerbread Baby happens upon a bakery, where he dances and prances in front of a sugar cookie girl, trying to make friends. But she just stares and doesn’t say a word, like all the other sweet treats he tries to meet. 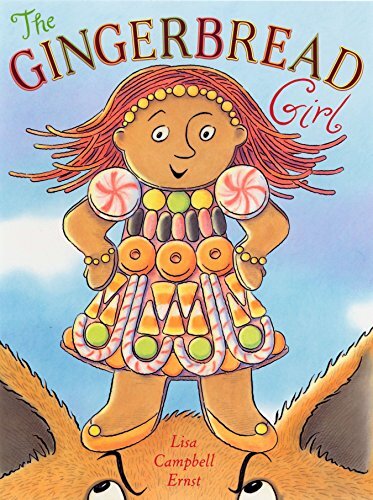 Discouraged, the Gingerbread Baby runs home, chased by a long line of hungry creatures, where Mattie has a fantastic surprise for him–gingerbread friends that fill a giant fold-out page. 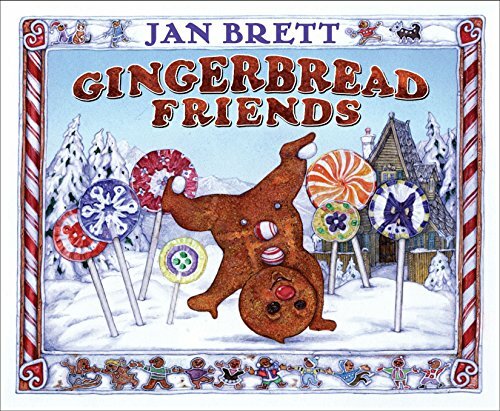 Irresistible images inside the confectionery and outside in the snowy Swiss countryside will delight Jan Brett fans. Everyone in class is busy practicing songs and making goodies for their trip to town to thank community helpers, and the Gingerbread Man has made a gift for someone extra sweet. But before he can deliver his gift, whipping wind and swirling snow come to town, too. Slushy sidewalks are no place for a cookie, but this Gingerbread Man won’t let a little bad weather stop him! 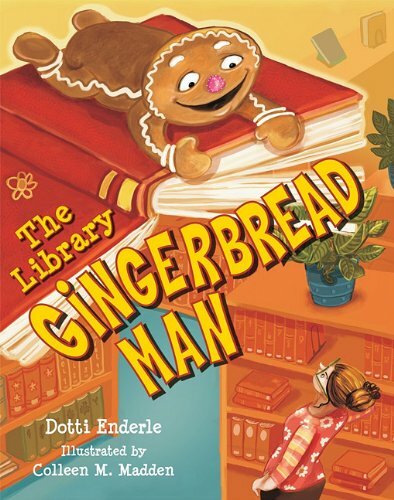 The Gingerbread Man, who lives at 398.2 on the library shelves, decides to escape and leads the librarian on a chase throughout the library. This book is a fun, rhyming sequel to the traditional folk tale, in a wonderfully illustrated and kind-hearted follow-up to the dramatic ending of the original story. This story follows the fox on his journey back to the bakery with his newfound desire to bake. 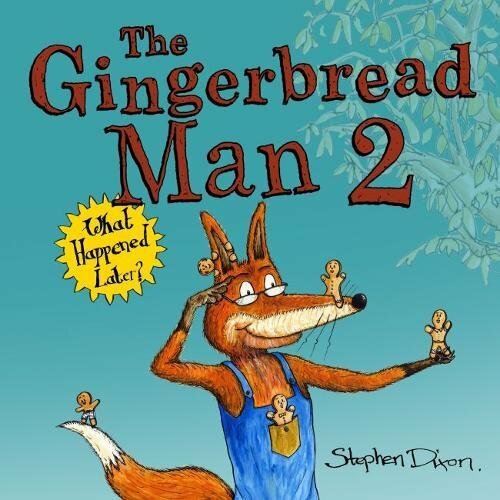 Find out what happens when he makes an oven full of little Gingerbread Men, and whether a happier ending is in store! 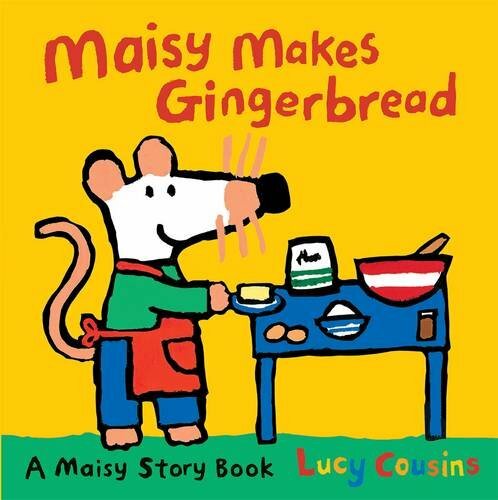 Enjoy first steps in the kitchen with Maisy and her pals. Are you crazy for Maisy? If so, you’ll love this story book about the little mouse and her friends, as seen on television. Today Maisy is busy in her kitchen. What’s she doing? Making some delicious gingerbread for tea! 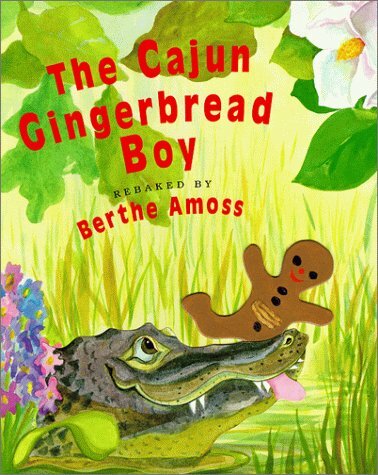 Retelling of classic story in which gingerbread boy keeps running through bayou country until he is outwitted and gobbled up by an alligator. 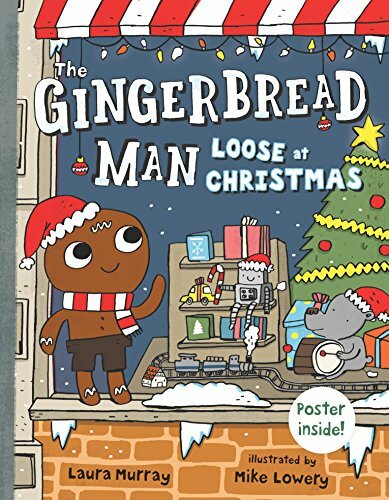 Comes with a die cut figure of gingerbread boy, which is passed through a slit in each page. 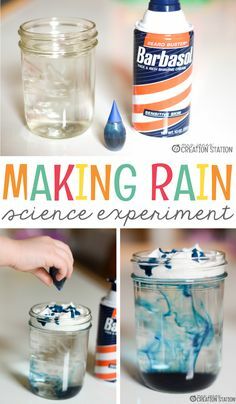 This is a new rendition of a mother making a sweet treat for her daughter’s kindergarten class for Christmas. While the class is eating their treats, the mother tells them of her most treasured memory: a gingerbread boy that she was given. She explains why this particular gingerbread boy didn’t run away. This helps weave a fiber of love and friendship throughout the story. 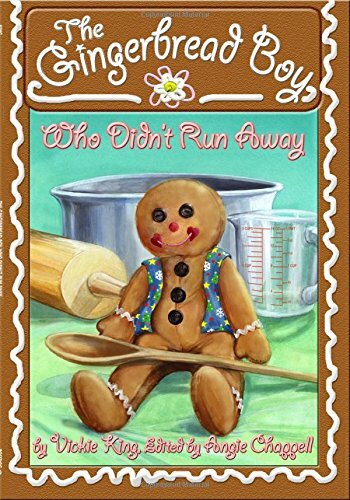 When Shirley bakes herself a gingerbread treat to bring to school, the last thing she expects is for him to leap out of her lunchbox and begin gobbling everything in sight. A wild chase ensues—on foot and by cable car—through iconic San Francisco neighborhoods including the Mission, Chinatown, North Beach, and Fisherman’s Wharf. 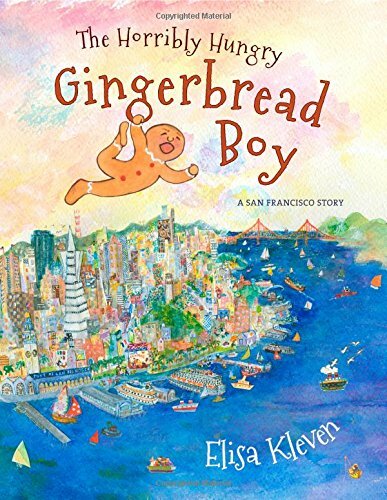 Will Shirley be able to catch the gingerbread boy before he eats up the whole city? Friendship is at the heart of this retelling of the classic folktale. Teaching the gingerbread unit is so much fun for our little learners as they explore all kinds of things about gingerbread! 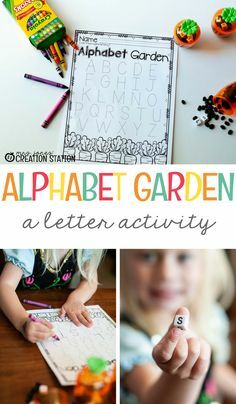 It’s fun for us too as we watch them learn and grow – especially with this unit as they get to make their own gingerbread houses! 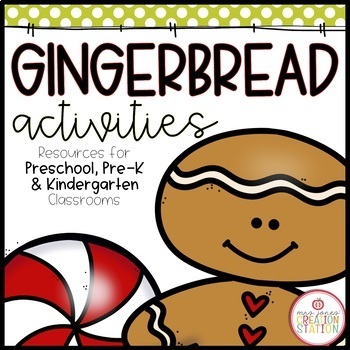 Grab some fun gingerbread books and this gingerbread unit and explore all the forms of gingerbread this holiday season.